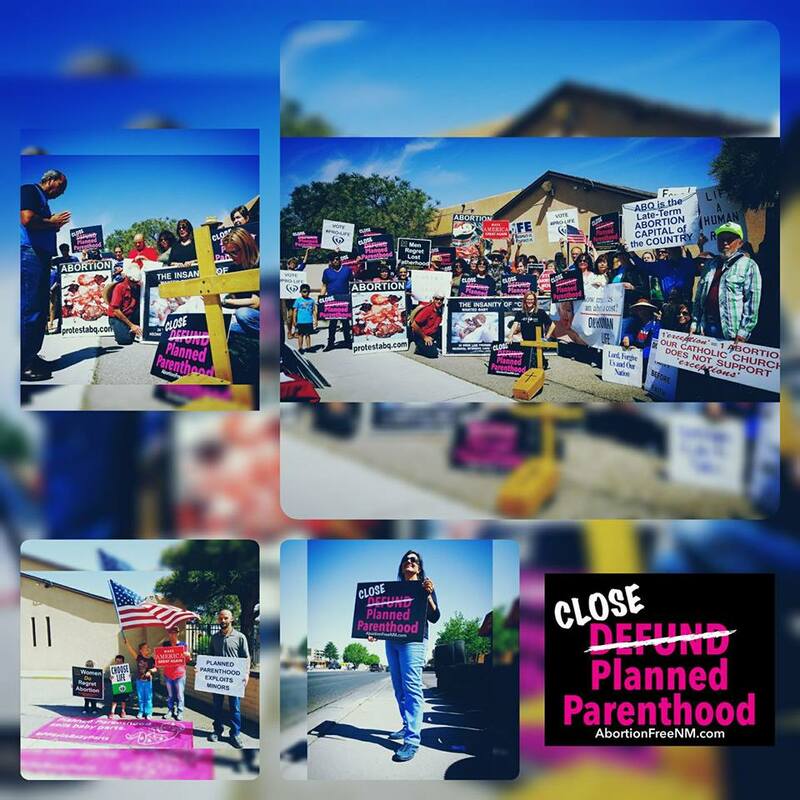 Albuquerque, NM- Albuquerque, New Mexico joined 149 locations across the Nation in 39 states to protest Planned Parenthood…the nation’s largest abortion provider. 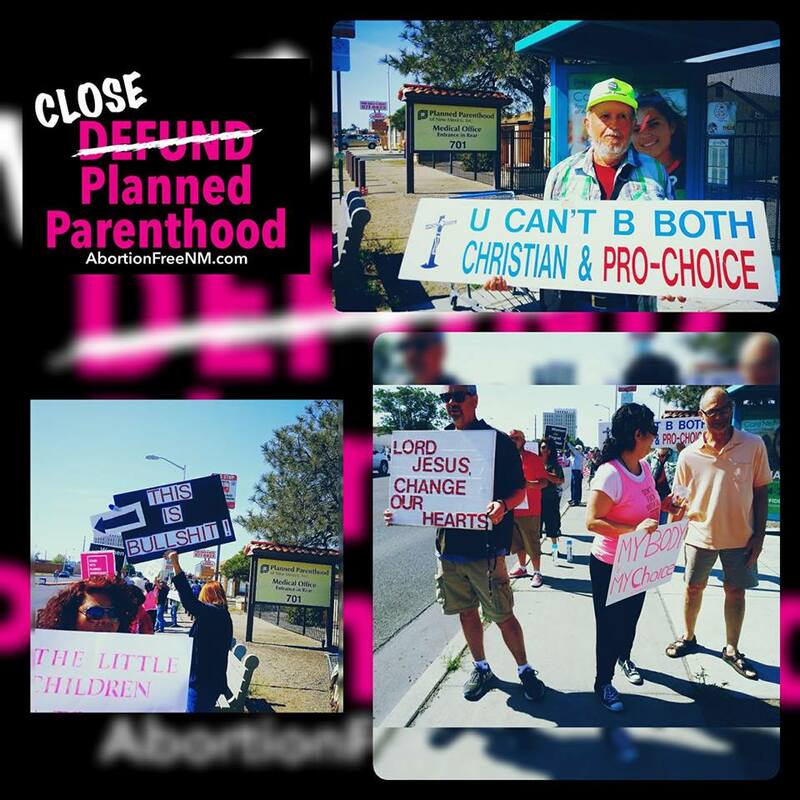 In Albuquerque more than 75 people joined in solidarity through prayer and protest to stand for LIFE, and in opposition to their hard earned tax dollars being spent to subsidize a failing child killing industry that more and more Americans reject. There were 4 counter protesters present and several cars driving on San Mateo Blvd. threw bottles and a lemon which struck members of both the pro-abortion and pro-life demonstrators. Women from both sides were bloodied by the glass bottles, in fact, a pro-abortion woman had to leave in an ambulance! The Albuquerque Police Department (APD) took statements as members of the pro-life #ProtestPP event filed police reports. APD is conducting a thorough investigation and will obtain video surveillance to see if they can identify the perpetrators who threw projectiles at the peaceful demonstrators of both sides. Abortion Free New Mexico is grateful to APD for their prompt response and their willingness to pursue an investigation of this incident. 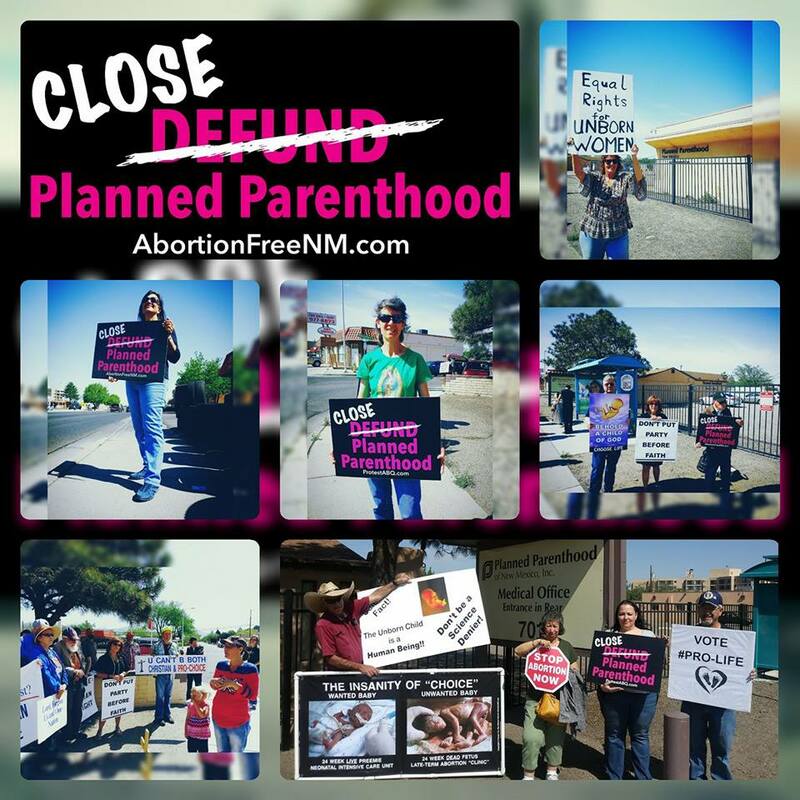 Albuquerque, NM- On Saturday April 28th, New Mexicans will join 100 other locations across the nation to peacefully protest Planned Parenthood. Planned Parenthood is the largest abortion chain in this nation performing over 320,000 abortions each year. 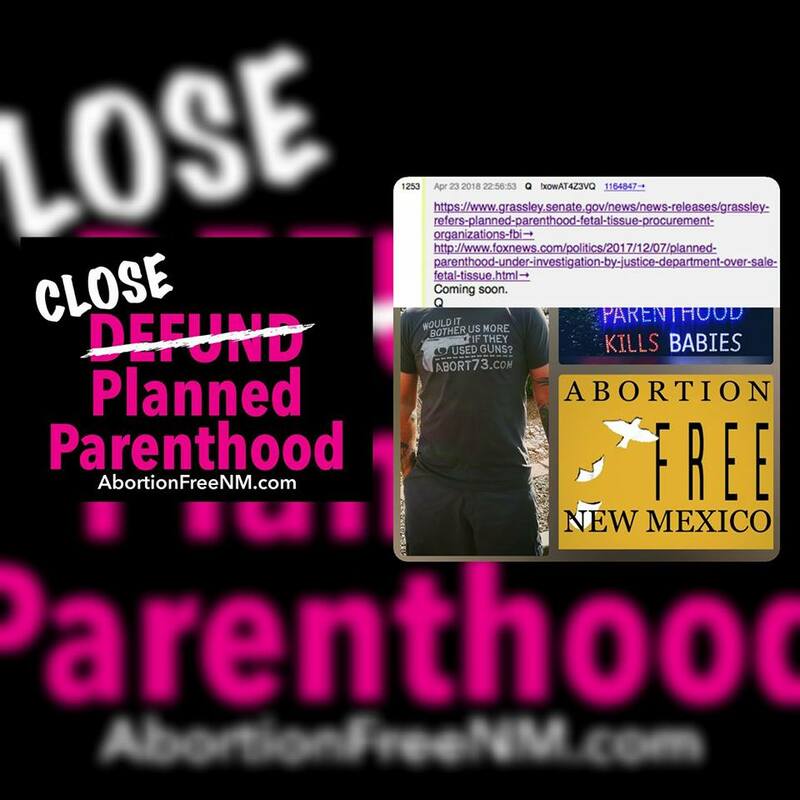 In Albuquerque, we don’t want to just see Planned Parenthood defunded, although they do not deserve one dime of taxpayer funding, we want to see Planned Parenthood CLOSE. 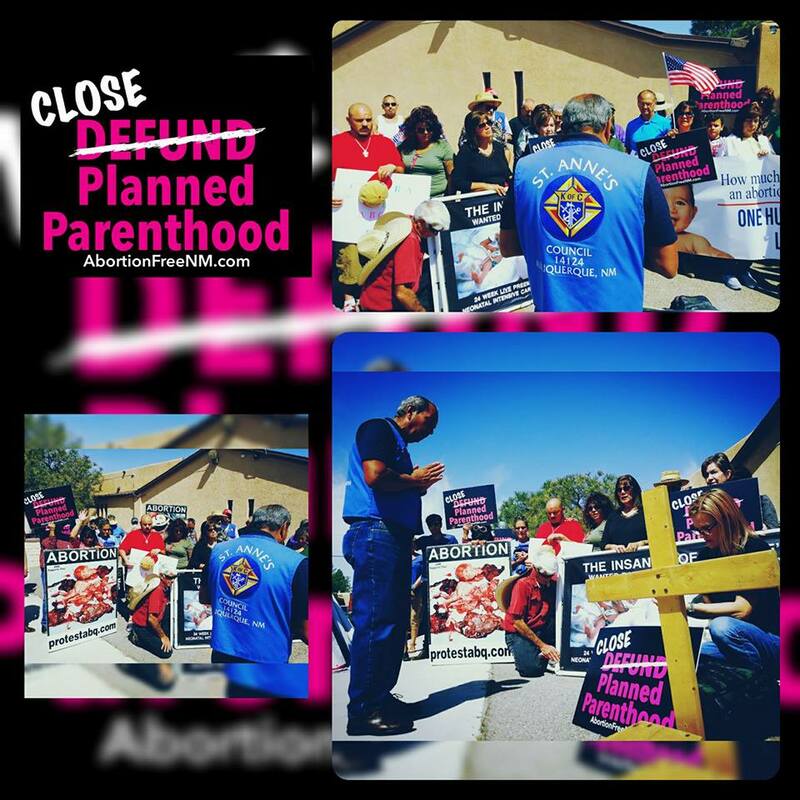 Your presence lets Planned Parenthood and their cohorts know that we oppose their killing business. All are welcome and encouraged to attend. 35% of all U.S. abortions are done by Planned Parenthood. Planned Parenthood receives $553 million annually from taxpayers, 43% of their annual budget, of which $430 million comes from the federal government. Planned Parenthood claims abortion is only 3% of their services, a figure so misleading that Slate magazine called it “the most meaningless abortion statistic ever.” Out of the 9.5 million individual services Planned Parenthood provided in 2016, 321,384 were abortions—roughly 3%. But this figure fails to account for the fact that a woman visiting Planned Parenthood for an abortion will receive several services—from a pregnancy test to some manner of counseling to the abortion itself—each of which is counted separately. Despite their name, Planned Parenthood offers almost no prenatal care, which amounts to less than 0.2% of total annual services. Planned Parenthood provides less than 2% of manual breast exams, less than 1% of pap tests, and zero mammograms annually. Let your voice be heard this Saturday as #WETHEPEOPLE stand together against the KILLING of pre-born children at the hands of #PlannedParenthood abortionists FUNDED BY YOUR TAX DOLLARS. *Please use street parking off of Marquette and San Mateo. Moriarty, NM- New Mexico has the reputation of being the “Abortion Capital of the Southwest” and the “Late Term Abortion Capital of the Country.” Even pro-abortion advocates proudly call New Mexico the least restrictive, most woman and abortion friendly state in the country. 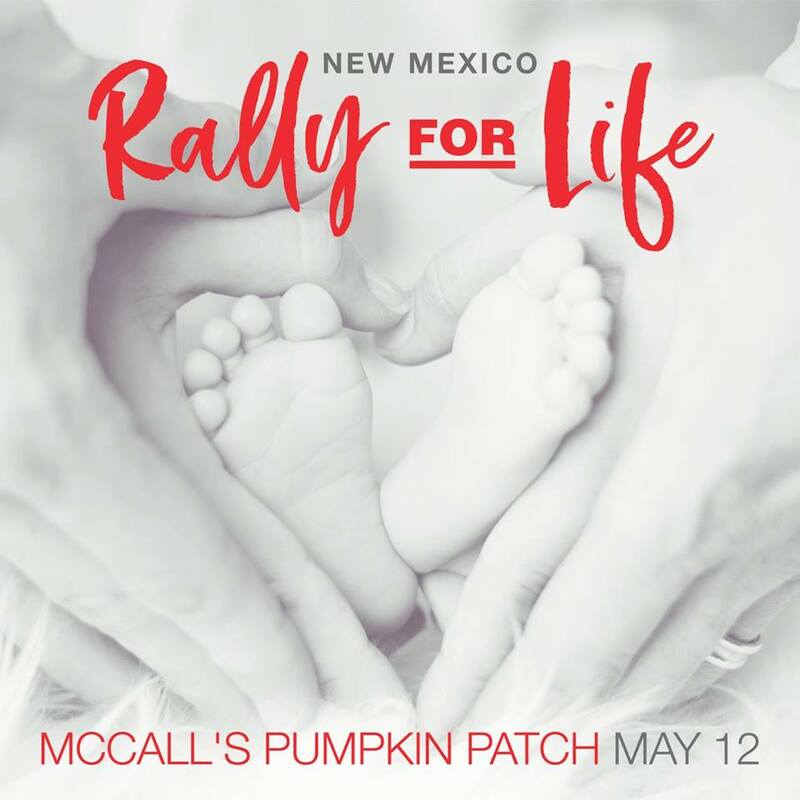 “We are planning a NM Rally for Life on May 12th – the day before Mother’s day – between 2 & 5 pm MST at the Pumpkin Patch in Moriarty. Entry is free. We will have speakers telling their stories: a woman telling about her post-abortion experience, a couple that fosters kids, adoptive parents and an adoption agency, someone talking about Down Syndrome, and other stories. 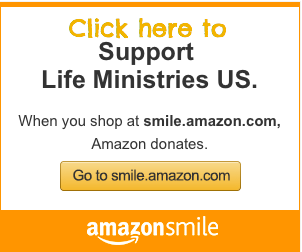 We’re planning activities for kids, a cake walk & a silent auction where the money donated by our participants will go to pro-life providers, and an art contest ($500.00 will be donated to a pro-life nonprofit in the winner’s name). There will be informational booths, including Abortion Free New Mexico, CareNet, NM Alliance for Life, Know Now Mobile Medical Unit, adoption agencies, and other entities that provide help for women with unplanned pregnancies. 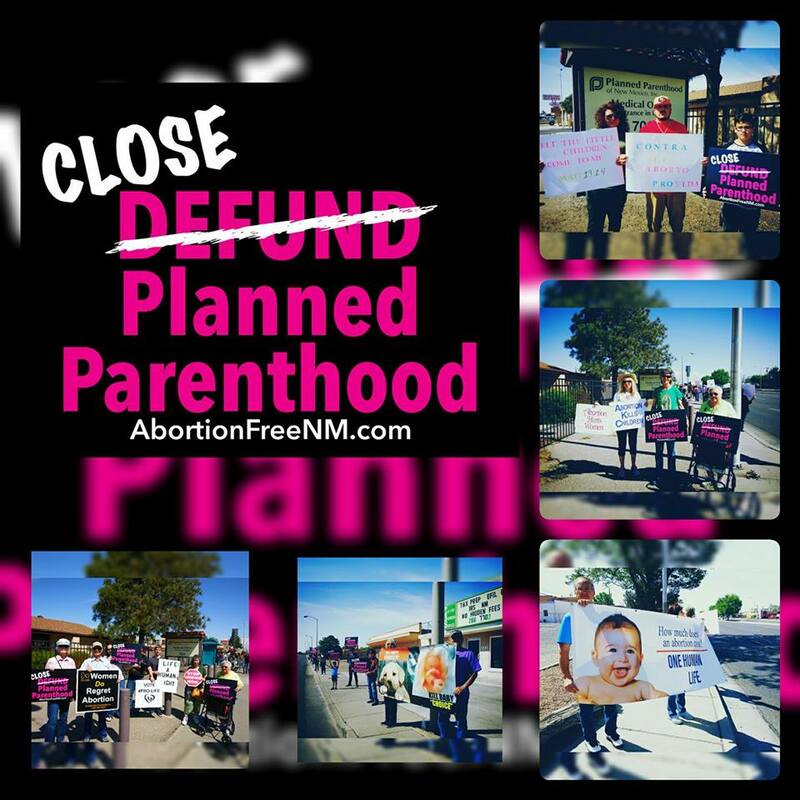 Abortion Free New Mexico leaders will be speaking at the rally. Please come out, meet our family and stand for life with us here in New Mexico.